The quaint city of Nagore is situated in the Nagapattinam district of Tamil Nadu and is located near Bay of Bengal. The place has been mentioned as Buddha Vihar in the book written by the Chinese tourist Hiuen Tsang and in 690 - 728 AD, was governed by Rajasimha, the Pallava king. The city has many attractions that will interest tourists and also being away from the major cities makes it an ideal getaway. Here is a guide to the city of Nagore in Tamil Nadu. Nagore Dargah is a famous dargah considered as one of the most auspicious dargah's all over the country and also across the globe. Hazrath Syed Shahul Hameed Quadri is the person behind the significance of this dargah. The masjid is more than five hundred years old, and it has been built in a southern architectural type. It has a resemblance of all the Hindu temples in that area. 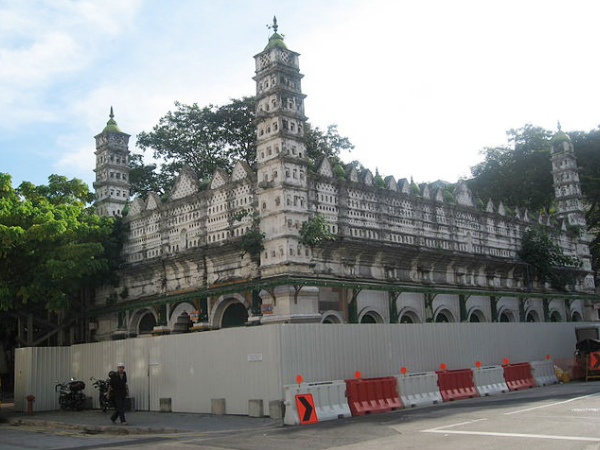 The Dargah is dedicated to the sixteenth century Saint Nagore Andavar. Nagore is also very famous for the Lord Shiva Temple here which is also known as Seshapuri. This temple has great significance as according to mythology, the temple is considered as parihara sthalam for rahu and ketu. The locals do believe that those who visits the temple in the early hours of the morning gets very lucky as it is a very auspicious time. Moreover, the main festival that takes place in the temple is the Mahashivaratri and you can see the glory of the almighty on that day. The architecture of the temple represents the Dravidian structure like most of the other temples in the city of Nagore. Nagore is known for its numerous temples and one such famous temple here is the Perumal Koil. The temple has a southern architectural design and is more than thousand years old. Thousands of pilgrims from across the state visit the temple in order to get a glimpse of the deity who is said to be one of the avatars of Lord Vishnu. Situated in the Nagapattinam district, Nagore is a beautiful town and is very famous for its beach. It is a very beautiful beach and is maintained in a great style by the municipal authorities. It is considered as a very good picnic spot and you can spend quality time with friends and family here. You can even take a horse ride on the beach. The place is a great tourist spot and is mostly occupied by the foreigners. The beach is also renowned for Hazarat Mian Dargah. By Air: The nearby airport to Nagore is the Trichy airport which is located at almost 140 kms from the city. It is well connected with all the major ciyies from here. By Train: Nagapattinam is the nearest railway station from Nagore which is located at about 5 kms from the city. The rail station is well connected to all the important towns of India. By Road: The bus network is very good in Nagore as the city is linked to all the major cities in Tamil Nadu as well as to the towns in Karnataka, Kerala and Andhra Pradesh. Travelers can avail daily bus services from Nagore to Kanyakumari, Trichy, Chennai, Thanjavur, Trivandrum, Madurai and Pondicherry. Deluxe tourist buses are also available between Nagore and several important cities of South India.